The JMD&Co team helps heritage organisations recognise and capitalise on the potential of their front-of-house staff and volunteers. The company designs practical workshops on interacting with visitors, devising and delivering guided tours, and leading educational activities for school, family and adult learning groups. TEAM MEMBERS committed to supporting each other and working together to provide the best possible experience for visitors. Jane Malcolm-Davies is the director of JMD&Co. 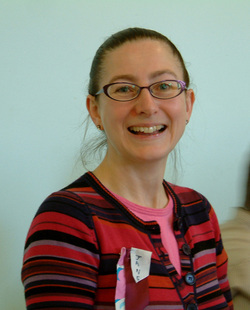 She studied for a doctorate in heritage management at the University of Surrey (where she lectured in tourist attraction and events management) and has been a post-doctoral research fellow at the University of Southampton (Winchester School of Art) and the University of the Highlands & Islands (Perth College). Previously, Jane managed major event programmes for historic houses, local councils and private corporate clients. Jane Malcolm-Davies also works with The Tudor Tailor researching publications on sixteenth century dress and best practice in reconstructing historic costume for heritage sites. Please visit: www.tudortailor.com for more details. See also the Costume Research Image Library at www.tudoreffigies.co.uk, a database of photographs of church effigies for researchers into sixteenth century dress. A summary of Jane's research method for evaluating front-of-house staff is available below. Jane Malcolm-Davies studied journalism and worked briefly on weekly newspapers Building Design and Screen International before joining hundreds of costumed volunteers in an annual recreation of Tudor life at Kentwell Hall in Suffolk. This alerted her to the potential for costumed presentations of the past at historic buildings and she studied for a diploma in heritage interpretation. This included a survey of costumes in use at UK sites which suggested there was a need for professional advice to improve the quality and professionalism of what was on offer. Jane collaborated with Caroline Johnson, who had experience of researching techniques for reconstructing accurate historic dress. In 1992, they joined the team which introduced costumed interpreters to Hampton Court Palace, where they were contracted to recruit, train and manage a full-time team of interpreters. They also researched and made costumes in collaboration with specialists, including Ninya Mikhala, until 2004. Jane studied for her doctorate at the University of Surrey and in 2003 won the Best Paper Award at the European Tourism, Leisure & Hospitality Research Conference in Barcelona for a summary of her findings. Since then, Jane has worked for many heritage organisations and at several World Heritage Sites to develop the role of staff in visitor experiences and improve front-of-house presentation. She has been a finalist in Cosmopolitan’s Women of Achievement awards (1994) for her entrepreneurship in tourism and won an Interpret Britain award for presentation at Hampton Court Palace (1996). Jane has a diploma in law and volunteers as an advisor with Citizens Advice in Godalming and Ash Vale. Jane is also a lecturer in heritage tourism and visitor attractions management, having worked at the University of Surrey, Farnborough College of Technology and been post-doctoral research fellow at the University of Southampton and the University of the Highlands & Islands.